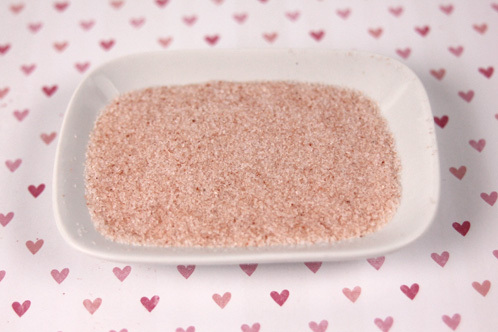 Pink Himalayan Sea Salt is one of my favorite salts to use in scrubs. Dark sugars have a higher molasses content, and may ferment in sugar scrubs, so it’s a good idea to mix up a test batch, and wait 30 to 60 days to see if there’s any changes before making a large batch. When making facial scrubs, always use a super fine sugar to avoid tearing sensitive facial skin. Putting granulated sugar in a blender or food processor and giving it a few good pulses is a good way to go, or you can buy bakers sugar or “superfine” sugar in some markets. Marla and her daughter demonstrated one of her recipes for a scrub using white sugar. She used silica gel to emulsify her oils – a great way to help reduce leakage in packaged scrubs! She recommends using about 8% silica gel, but said we could experiment with up to 10%. After mixing a recipe, she also advises to let it sit overnight, because the silica gel will continue to thicken for about 24 hours, and waiting will give you a better idea of the final viscosity. 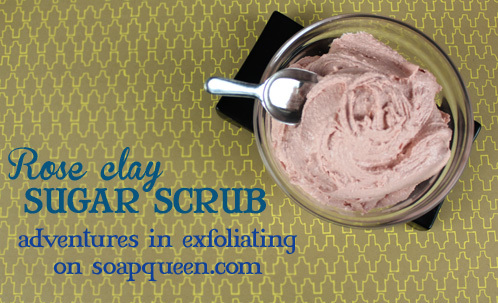 This sugar scrub is scented with Black Amber & Lavender. It’s one of my favorite scrub recipes! She recommends using Vegecide at 1% for a preservative. Optiphen would work, as well, but she prefers using the Vegecide, as it’s slightly more natural. Whatever preservative you decide to use in your own recipes, Marla stressed the importance of making sure that you do use one! Even if you’re making products that don’t contain water, the first time a jar of scrub is opened in the shower, it will be exposed not only to moisture, but all sorts of possible bacteria and germs. I think we all felt the need for some scrumptious butters after spending a bit of time in the drying Arizona heat – I know I did! So when Marla moved on to her body butter recipe, I was ready to learn. Oil absorption rate is very important – you want to use oils that will absorb quickly, and not feel heavy and greasy. She passed around bottles of Olive Squalane & Abyssinian oil, so we could try a dab, and see how they felt. I’ve never used either oil, so it was exciting to sample some new ingredients. They went on with a light silky feel, and soaked in to leave a soft, powdery finish. A good ratio for obtaining a nice ‘butter’ consistency is about 50% solid oils/butters and 50% oils. This nourishing Avocado Body Butter is a great recipe for beginners. 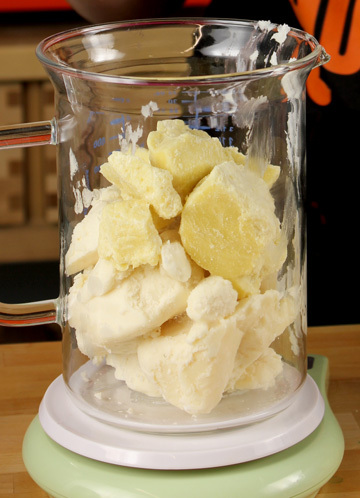 Watch the full ‘How to Make Whipped Body Butter‘ from Soap Queen on Vimeo. Another factor when choosing oils is shelf life. The more stable an oil is, the longer it will last without going rancid. Vitamin E or Rosemary Oil Extract are both effective antioxidants that can prevent rancidity when added at about 1% of a recipe. In her recipe, Marla used Cetyl Esters NE for an emulsifier, also at 1%. Beeswax, stearic acid, and E-Wax can also be added at up to 5%, depending on the consistency/melt point you’re after. Finally, we learned a couple things about scents/essential oils. When adding essential oils to leave-on skincare products, it’s crucial to think about the possibility of side effects, such as photosensitizing. Citrus oils are particularly likely culprits, but it turns out that most steam distilled oils aren’t photosensitizers, compared to cold pressed oils, and can be used more safely. Marla also advised us to add our scents in with our butters and oils, instead of adding at the end, so our beautiful whipped butters don’t deflate. We used essential oils to fragrance the Kissably Soft Lotion Recipe. As a general rule of thumb, we do not recommend using citrus essential oils in leave-on products such as lotions or butters. Walking away, I felt that body butters and scrubs could be a great way to compliment my soaps and other cosmetic products. Besides the high profit margin, they are diverse, fun to make, and can cater to a wide variety of customers. Marla gave us excellent advice and a masterful lecture, laying a great foundation to a new line of products! I love experimenting with body butters, although I’m rather new to bath and body products! I have searched everywhere for ingredients and/or instructions on making the base butters, but I can’t find any info. All I can find are recipes for whipped body butter! I want to make coffee butter and I’ve tried several different ingredients. Does anyone have any info on making the base butter itself? I’ve tried vegetable shortning, beeswax, soy wax 135, cocoa butter and even a combination. Either it doesn’t stay solid at room temperature or it’s just not the right consistency. Please help! It’s not just here, I can’t find this info anywhere lol! Hi! I’ve been making body scrubs for a little while now and I find that sometimes my mix( I like using 1:1 of Dead Sea salt and raw sugar) seems like the sugar is reacting with the salt and dissolving! The end result is still pretty coarse, but I notice after a few weeks the consistency changes. Right now I use a fine grain Dead Sea salt with a medium coarse raw sugar in a fractionated coconut oil base. What are your recomendations and also what would you recommend as a preservative? Optiphen work as a preservative. Its mostly soap.. would that count as an oil? Or is castile soap considered hydrous. I know that optiphen works for anhydrous products. I want to make a white sugar scrub with shea butter, glycerine and liquid soap. Will the sugar disolve over time or if water is introduced to the jar? How long will the original texture last? If your scrub is heated up, or if a lot of water gets in, the sugar can dissolve. That depends on your recipe! When we say 1% of your recipe, that means it should make up 1% of the total weight. So for instance, if your recipe was 100 oz., you would add 1 oz. I’ll include a link to a blog about soapy math. It’s very helpful! I have tried several body butters but they all seem to leave me feeling greasy. I would LOVE to find a body butter (without a million ingredients) that doesn’t leave a greasy feeling. Any suggestions? I am a newbie at this as well. I was surfing the internet and came across this easy recipe (whipped body butter. And I am loving it. I used cornstarch instead of tapioca and the fragrance oil I used was Apricot. Yummy…. Can’t wait to try the melt and pour soap. What can I say I’m hooked. Wow – great article! I’m intrigued by Vegecide – I will need to look into that! I am still a little confused about preservatives though (yup, even after reading all the other great posts on this blog regarding this topic). I want to make a salt body scrub with liquid castile soap (and other ingredients like clay, oils, butters, etc.). I bought Optiphen Plus but now I’m wondering if I should have bought Phenonip. Thoughts? I hope this helps! If you have any questions, let me know! Hi Amanda! Thanks for the reply! The liquid soap does contain water AND I know that water will get into this product when it’s used (either in the shower, by the sink or by a wet hand in the jar), which is why I think I need a preservative (better to be on the safe side in my opinion). I will try out the Optiphen Plus and will report back the results. Whether I use Optiphen Plus or Phenonip, can I still call the end result “100% natural”?? 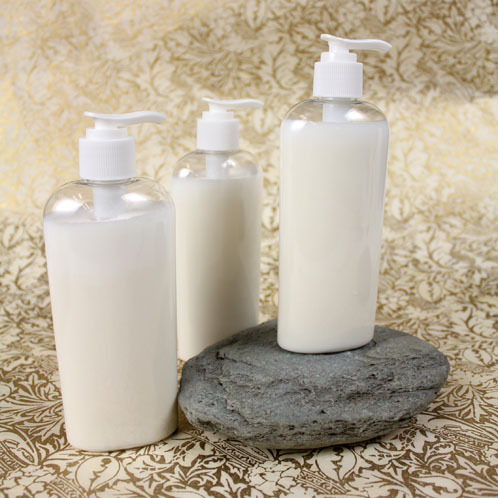 While soap does contain water, once it goes through the saponification process, it becomes something completely different! Being extra cautious never hurts though! Definitely let me know how it works for you. Preservatives are not considered natural, so personally, I would not call the end result 100% natural. That being said, the term natural is not regulated, and means something different to everybody. You may find the blog post, “Natural vs. Organic” interesting! Great job summarizing the session, Jodi!